Prior to 1995 most of the wheel end parts used in trucks and tractor-trailers were made out of iron. That all changed when we introduced our lighter and easier-to-install aluminum PreSet technology, which quickly made aluminum the OEM standard. Today, 75% of the wheel ends for the heavy duty market are made with aluminum – all of which are designed and developed at the wheel end engineering division of ConMet’s headquarters in Vancouver, Washington. By working together, our engineers have helped us continuously improve our products and develop one of our greatest innovations, our PreSet technology. 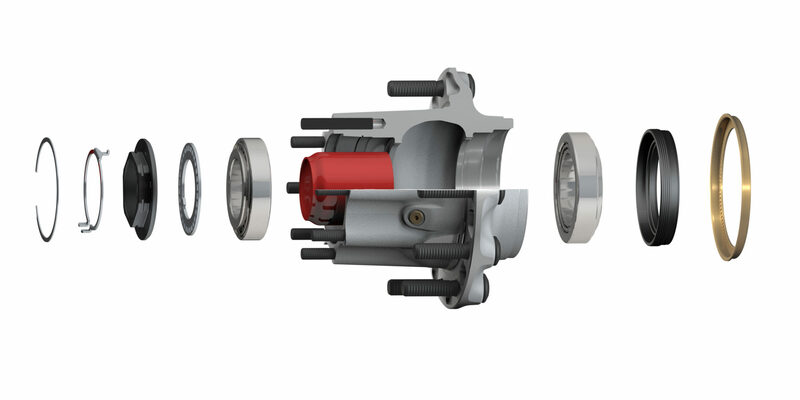 By integrating all components of the wheel end besides the spindle nut, it changed the industry and made hub installation easier than ever before. Our engineers also developed PreSet Plus, which provides an even simpler installation by integrating the spindle nut. That means with either of our hubs, technicians will never have to worry about time-consuming tasks like installing seals or adjusting bearings ever again. Not to mention, all of our wheel-end components are carefully inspected and installed at ConMet facilities using an assembly process that guarantees safety, reliability, and time-savings. At our headquarters in Vancouver, we also design and manufacture brake drums, brake rotors, and wheel seals. But we’re only getting started. We’re always looking to develop new products that make wheel ends simpler and more effective – while also providing the most reliable, lightweight, and cost effective solutions possible. To learn more about ConMet’s innovative wheel end division, email blog@conmet.com.